For further technical specifications please see the PDF data sheet Miniature DIN connectors (opens in a new window). MDV series - unscreened, vertical PCB mounting, miniature DIN socket. FC680905 unscreened, vertical, 4 pin mini DIN socket. FC680910 unscreened, vertical, 6 pin mini DIN socket. 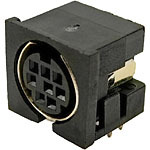 FC680915 unscreened, vertical, 8 pin mini DIN socket. MDHU series - unscreened, 90 degree (horizontal) PCB mounting, miniature DIN socket. FC680950 unscreened, horizontal, 3 pin mini DIN socket. FC680955 unscreened, horizontal, 4 pin mini DIN socket. FC680960 unscreened, horizontal, 5 pin mini DIN socket. FC680965 unscreened, horizontal, 6 pin mini DIN socket. FC680970 unscreened, horizontal, 7 pin mini DIN socket. FC680975 unscreened, horizontal, 8 pin miniature DIN socket. MDHS series - screened 90 degree (horizontal) PCB mounting miniature DIN socket with EMI / RFI screen. FC680920 screened, horizontal, 3 pin mini DIN socket. FC680925 screened, horizontal, 4 pin mini DIN socket. FC680935 screened, horizontal, 6 pin mini DIN socket. FC680940 screened, horizontal, 7 pin mini DIN socket. FC680945 screened, horizontal, 8 pin mini DIN socket. 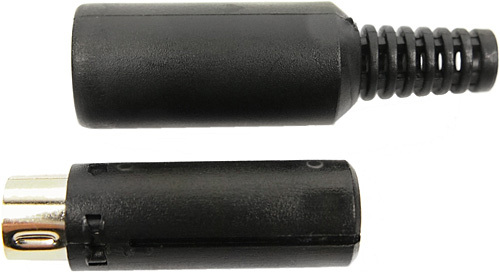 MDP range of miniature DIN plugs comprises 3, 4, 5, 6, 7 and 8 way plugs for self assembly. Please note that these plugs are difficult to assemble due to the fine soldering required. 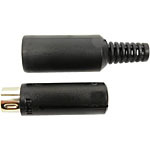 For OEM users, we can supply moulded molded on plugs. Please verify PCB hole details by comparing our drawing and samples as we have a number of variants in this range. 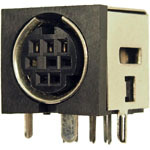 FC680977 3 pin mini DIN plug. FC680979 4 pin mini DIN plug. FC680981 5 pin mini DIN plug. 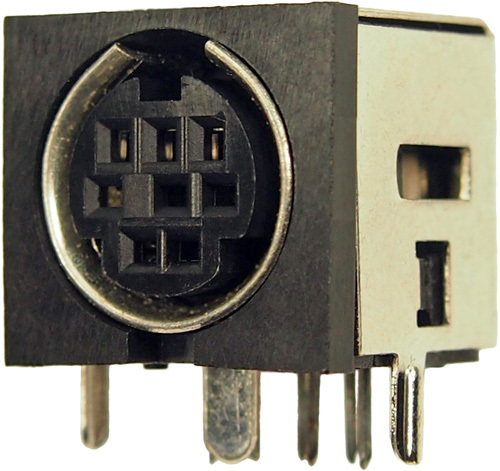 FC680983 6 pin mini DIN plug. 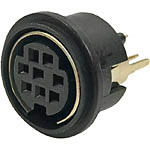 FC680985 7 pin mini DIN plug. 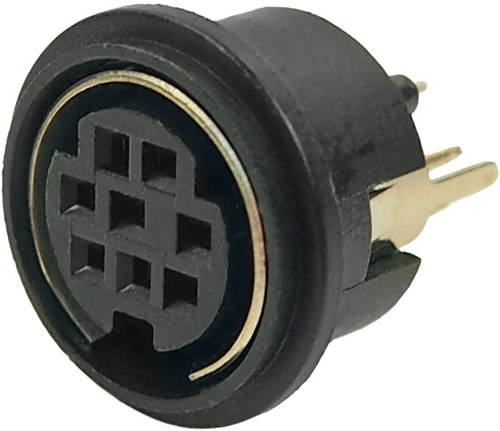 FC680987 8 pin mini DIN plug.